Wine aeration tips - what wines need it, what wines don't. what wines surely need it; what wines usually don't. WHICH WINES NEED WINE AERATION? Most red wines, but only some white wines, usually require aerating - or in wine slang - they need to ‘breathe’ right before being consumed. After being cooped up in a wine bottle for so long - exposing these wines to air/oxygen right prior to drinking usually opens up its flavors and lets it comfortably ‘settle’ into its taste and character. 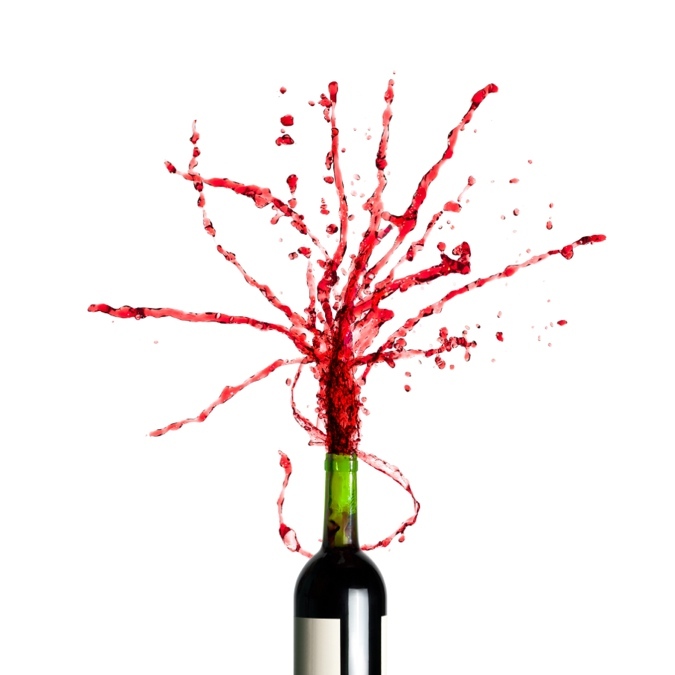 But simply uncorking a bottle and letting the wine sit isn’t enough wine aeration - the narrow neck of a wine bottle doesn’t expose enough of the wine to oxygen to make it effective. Decanters are like funky-looking, large-bottomed glass bottles that you can pour an entire bottle of wine into in order let it breathe/aerate before enjoying. Decanting is the act of using such a decanter, but oftentimes it’s used simply as a synonym for aerating. So decanters offer an easy and elegant way of aerating your wines. Another simpler way to achieve adequate wine aeration, in the case that you don’t have a wine decanter handy, is to pour the wine into large wine glasses and let them sit for at least ten to twenty minutes. But whatever the method to your wine breathing madness - it’s time to talk about what wines truly do need to ‘breathe’ - and what wines can skip the charades and go right down the goblet! Wine Aeration Group #1: Young, tannic reds with a lot of attitude. Wines are most tannic when young. So young wines, especially reds that are often known for their high tannic profiles, (i.e. Cabernet Sauvignon, Barbera, Bordeaux, Montepulciano, etc.) will be greatly served with a bit of aeration, since this allows the tannins to mellow a bit, softening the wine’s harsh edges and making it a more pleasant drinking experience that isn’t overpowered by a tannic punch. In this sense, wine aeration is trying to replicate the wine’s natural aging process, and making up for lost years bottled in the cellar within an hour of open oxygen exposure. Both ways help break down harsh tannins. But with true bottle aging, many other chemical reactions take place over time which can’t be made up for by decanting alone. But on the plus side, you’re impatient and want to drink that bold red NOW, and aerating allows you to taste the backbone flavors and aromas that can then be brought up to the surface of your palate, without the hassle and risk of wine storage. Rule of thumb: the younger and more tannic the wine - the longer it needs to breathe. An hour is usually enough to soften the tannins and enjoy a young, robust red wine. Wine Aeration Group #2: Aged red wines with visible sediment. Red wines are commonly aged - and after a point in time, various elements in the wine, such as tannins and other chemicals, begin to bind together, solidify, and sit as a sleep sediment on the bottle of your wine bottle. This usually occurs between eight and ten years of aging, although this depends on the type of red wine being stored, the conditions of its storage, etc. The sediment of aged wine can taste bitter - which makes sense - its mostly tannins! - so it’s always a good idea to segregate the sediment while you’re decanting aged wine. To do this - remove the desired bottle from its aging rack, which it has probably been laid sideways, and place it upright for a couple of days to allow the sediment to slowly float down and settle at the bottom of the bottle. This way, when you’re ready to decant the wine, you simply pour very slowly so as not to agitate the wine and sediment on the bottom, and keep an eye out for when to stop pouring, making sure the murky wine and sediment on the bottom stays in the bottle, and doesn’t pour out into the decanter with the rest of the wine. If a few sediment bits have managed to squeeze their way into your decanter, no worries, it’ll probably not be enough to upset your wine drinking experience. Rule of thumb: The older a wine, the more sensitive it become to agitation, pouring, and aeration. Unlike young reds, that need to settle down their tannins for an hour in the decanter, the aged reds need just the opposite - very little time in the decanter, or else risk having their mellow and delicious flavors overpowered by over-oxidation. So no more than ten to fifteen minutes of air exposure, or else those cherished flavors could take a serious nose-dive in the wrong direction, turning an awesome wine into a flat, one-dimensional blah. But you should always be the final judge. If for example the wine color in the decanter looks bold and bright, chances are there is still plenty of pep in the wine to endure a few extra minutes of air exposure. Use your judgement call to decide what an aged wine needs by smelling it and checking the vibrancy of its color. Wine Aeration Group #3: Select white wines. Okay - so red wines are known for their tannins and aging benefits, but that doesn’t mean that they reserve an exclusive hold on your decanter. Some whites can also highly benefit from aeration. These whites usually display similar traits with their red brethren, such as being dry, full-bodied, and with heavier mouth feels than most other whites. These include such white wines as: Burgundies, white Bordeaux wines like a young Corton-Charlemagne, and Alsace wines. If these wines aren’t living up to their aromas and flavors right out of the bottle, most likely its because they need some good old aeration. Rule of Thumb: Dust off your decanter and let the wines sit for around a half an hour and try again. You’ll more often than not be pleasantly surprised with how much improvement a simple decanter and a little patience and provide. Just make sure your whites don't get too warm while aerating. Wine Aeration Group #4: Vintage Ports. Vintage ports, or “Porto”, should not be confused with regular ports. Although both are delicious, “Porto” has the distinction of being aged for around twenty-some years. So - what do you think you’d want after twenty years cooped up in a wine bottle? Some AIR, right? Some ROOM to BREATHE! Not only because after so much time in the bottle the air exposure helps expose the flavors faster, but also because of the built up sediment on the bottom of the bottle - much like what we’ve already discussed with regular aged reds. Rule of Thumb: So like with the aged reds, let a Porto stand upright for several days before decanting it. Then proceed to decant for up to four hours to best enjoy its flavors. Light-bodied, naturally less tannic reds such as: Pinot Noir, Burgundy, Beaujolais, and Cotes du Rhone, lighter Zinfandels, and lighter-bodied Chiantis, and Dolcettos. Red wines in the under $12.00 price range. They’re produced for quick easy consumption, and are almost always lighter-bodied in character. Aerating the proper wines - and letting the rest be without aeration - is a simple skill to learn and one that will quickly improve your wine drinking experience and your overall wine knowledge, as you make the most of each wines unique offerings and flavors. It’s perhaps the quickest way to graduate from wine-drinker to wine-lover...without skipping a beat in between.